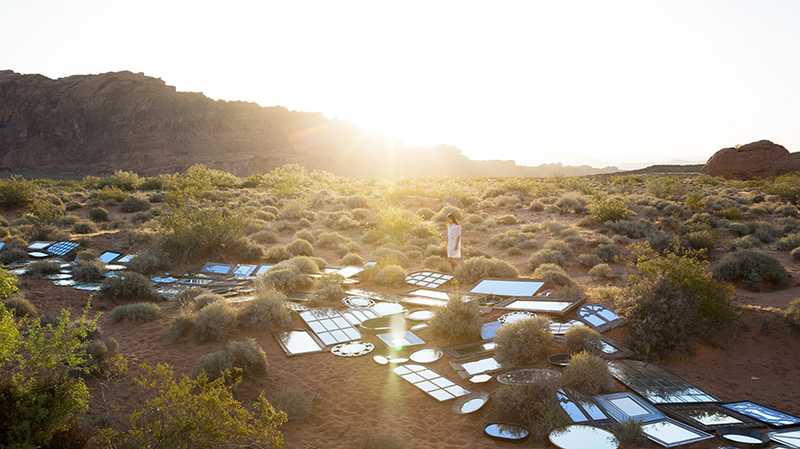 A sprawling collection of mirrors meticulously arranged in the desert can make for some pretty striking reflections—and good Instagram fodder. That’s the kind of thinking behind a fun recent campaign from furniture retailer HomeGoods and agency McCann New York. The agency used a wide range of home decor objects from the store to create visually striking installations in three parts of the country. The displays were meant to evoke the feeling of exploration when shop at the well-stocked discount chain. 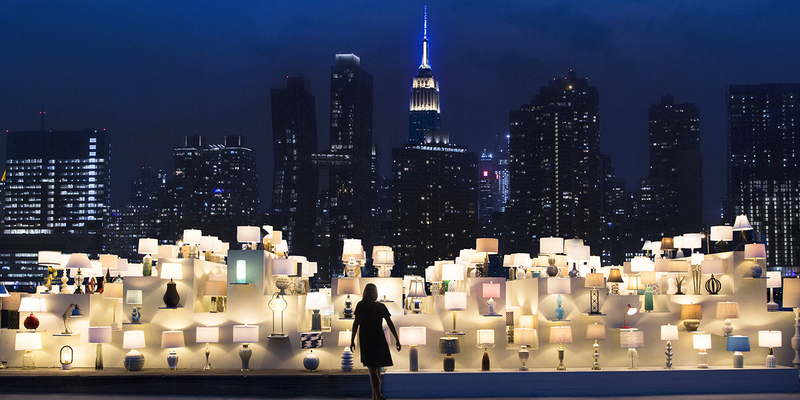 A few dozen lamps glow against the New York City skyline. 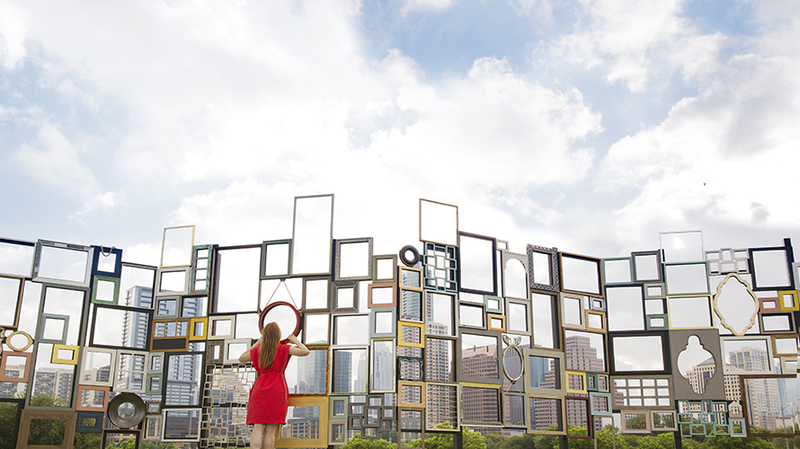 A wall of empty picture frames rises on a lawn overlooking Austin, Texas. 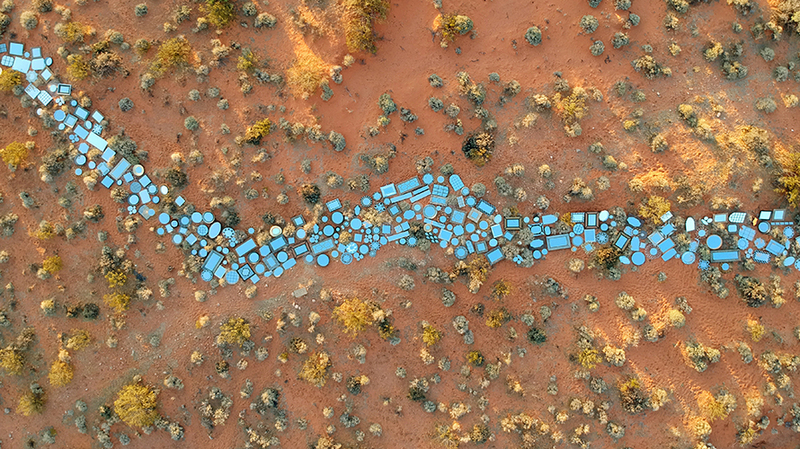 And hundreds of mirrors, in different shapes and sizes lie on the ground in the Valley of Fire State Park in Nevada, snaking through the dry earth and past shrubs like a river the color of a clear blue sky.